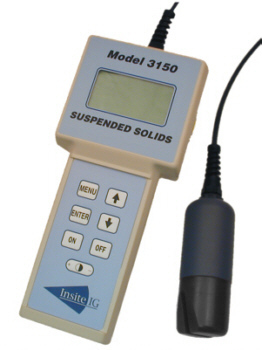 Model 3150 Portable Suspended Solids Analyzer with Model 35 standard range sensor. The InsiteIG Model 3150 portable SS analyzer is a state of the art, easy-to-use meter that provides many benefits to the water & wastewater treatment plant operations staff. 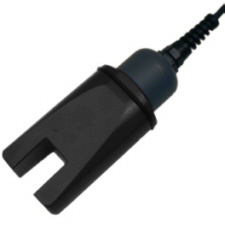 This system is supplied with Model 35 standard range sensor as shown. See also our Continuous Suspended Solids Sensors page. The optional Model 35L Sensor was designed to measure very low solids concentrations typically found in secondary clarifier and plant effluents.